A range of small fruit trees and shrub can give you a great fruit yield, but you need to protect them from birds and insects. 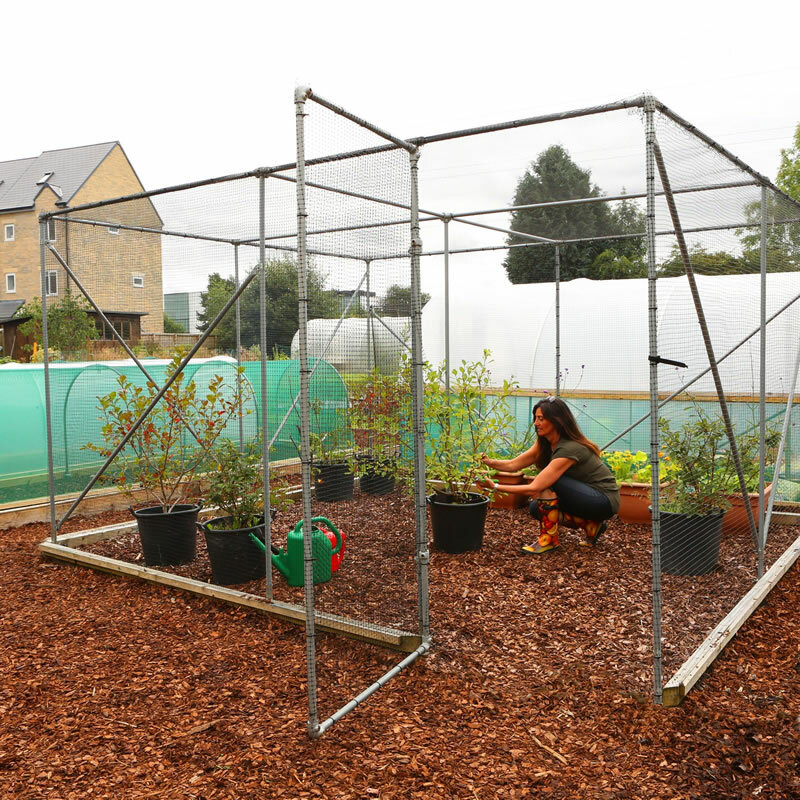 This 5 bay x 4 bay fruit cage is the long-term and sustainable solution. If necessary, you can move the fruit cage without compromising its strength or robustness. We can also supply pressure treated support rails. These rails are fixed to the base perimeter of the fruit cage, offering more support and neater edging. All wood used for our fruit cages is sourced from sustainable and managed forests. We also use high quality pressure treated recycled wood. We are the ONLY polytunnel company to be FSC certified, giving you peace of mind your fruit cages are not harming the planet. Not quite the right size? Need bespoke dimensions? Design your own fruit cage with our expert team. Contact us for more information.